FDA has approved the oral agent macrilen for evaluation of growth hormone deficiency in adults. Macrilen is a ghrelin agonist which leads to the provocative release of growth hormone by the anterior pituitary gland. The diagnostic procedure is safe, efficient and comparable with the gold standard isulin tolerance test (ITT). This is a meaningful advancement in the field of endocrinology. Macrilen (macimorelin) is a growth hormone (GH) secretagogue receptor agonist. Macrilen is specifically indicated for the diagnosis of adult growth hormone deficiency. Macrilen is supplied as a solution for oral administration. The recommended dose is a single oral dose of 0.5 mg/kg of macimorelin. The dose is administered as a reconstituted solution. The FDA approval of Macrilen was based on a randomized, open-label, single-dose, cross-over study in 154 subjects. The objective of the study was to compare the level of agreement between Macrilen test results and insulin tolerance test (ITT) results in adult patients with different pre-test probability of growth hormone deficiency and healthy control subjects. Overall, Macrilen and the ITT were in complete agreement among 84% of all subjects. Among those with a high likelihood of AGHD prior to testing, Macrilen and the ITT were in complete agreement among 89% of subjects. Macrilen was evaluable in >99% of tests at first try, compared to 83% evaluable with the ITT. Repeatability was observed in 91.2% of the patients (n=34) who underwent two Macrilen tests. Macrilen (macimorelin) is a growth hormone (GH) secretagogue receptor agonist. 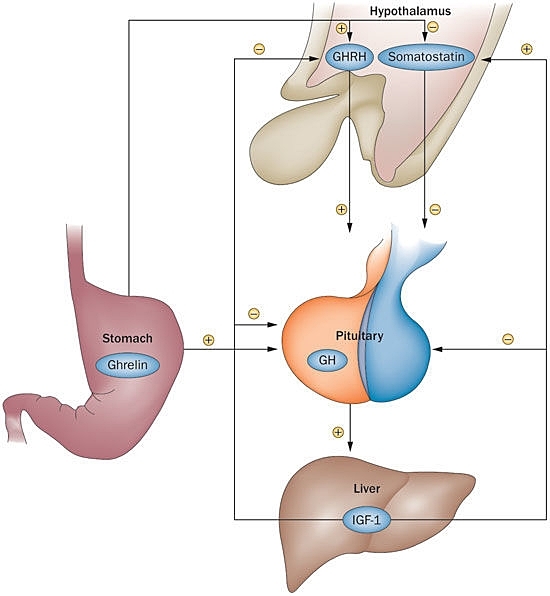 Macimorelin stimulates GH release by activating growth hormone secretagogue receptors present in the pituitary and hypothalamus.